Just sold! 5126 Ellenwood Drive just closed escrow - proof that short sales are indeed do-able! 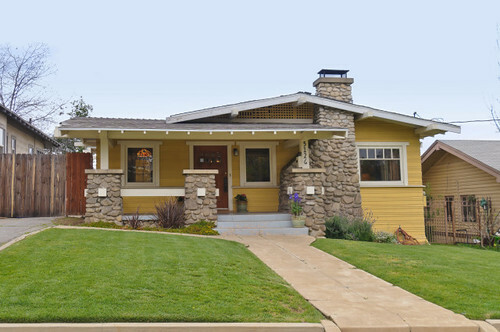 We brought this classic Craftsman bungalow on the market on March 28 of this year, accepted on offer on April 18, and closed escrow on August 29. Just four months to get short sale approval from Bank of America, navigate through buyers' inspections, and close escrow. 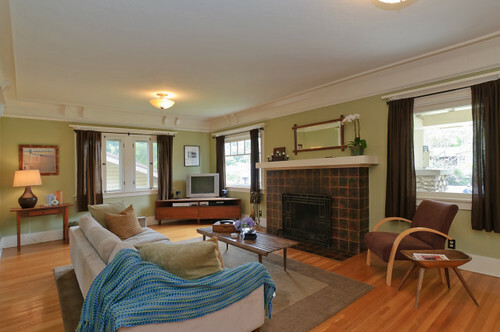 Closed on August 29, 2011 - for a final sales price of $584,000! New listing! Open Thursday 9/1 10-2 and 5:30-7pm; Sunday 9/4 2-5pm; and Tuesday 9/6 10-2pm. Almost new, all fabulous! This architectural beauty is everything the modernist aficionado wants in a home. Soaring roof lines, lots of windows and large sliding glass doors bring the outdoors into an open, functional living space. 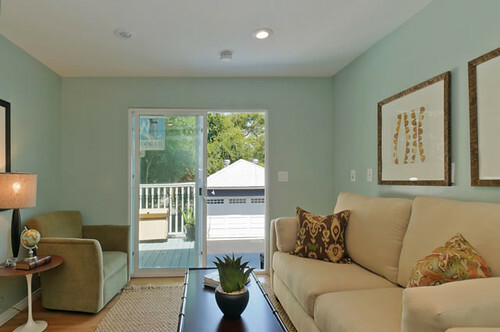 Re-built between 2004 and 2007, when the eco-friendly trend was gathering momentum, this 3-bedroom, 2-bath house has dual-pane glass windows, low-VOC glued maple floors, and VOC-free organic milk paint throughout. The sewer lines, copper plumbing, electrical systems and central air and heat are all new. Originally built in 1951, the rebuild was designed by architect Christo Karzakis and constructed by local contractor John Hole. Just sold! 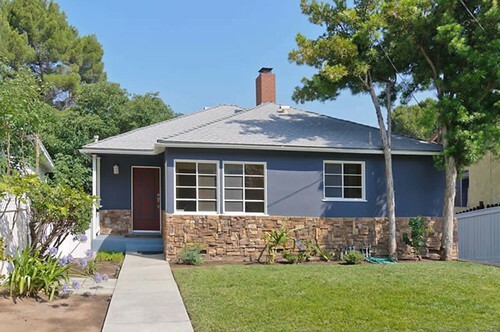 1145 Oak Grove Drive, in Eagle Rock, sold last week for $535,0o0. 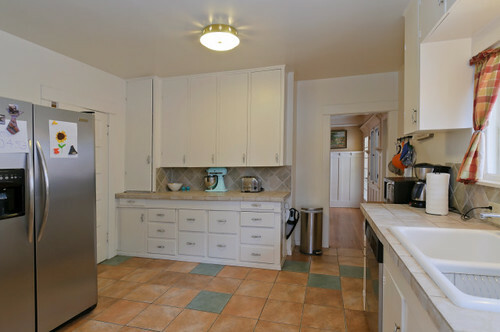 This mid-century traditional has 3 bedrooms, 2 baths, plus an entire downstairs for use as a family room, den, and office. 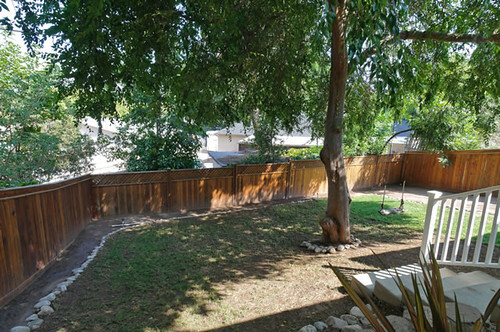 The private backyard is perfect for outdoor living with an deck, outdoor kitchen, spacious play area, and dog house. New listing! Open Thursday 8/25, 10-2pm; Sunday 8/28, 2-5pm; and Tuesday 8/30, 10-2pm! This sweet English Tudor is perched above College View Avenue with eastern views over Eagle Rock. Have your morning coffee and enjoy the sunrise through your stunning picture window. 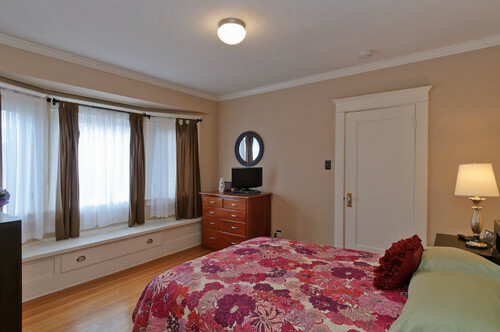 The living room has a high-pitched, vaulted ceiling, original light sconces, hardwood floors, and a brick fireplace. 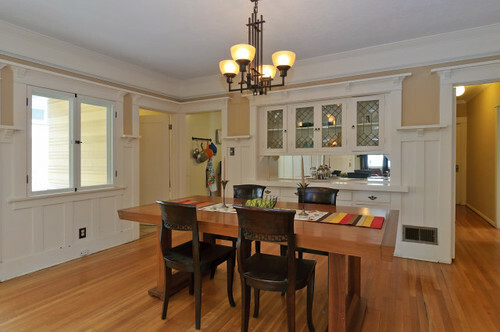 The kitchen and bath are in pristine condition with the original character respected. 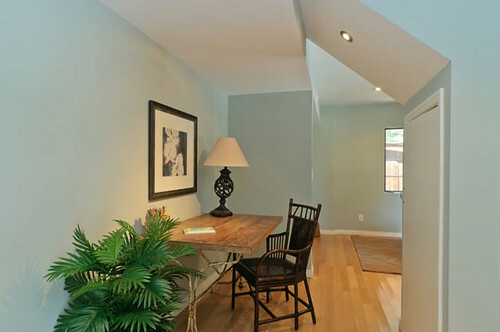 The back yard is terraced above a spacious patio, and even includes a picturesque shed with artistic potential. This is a short sale and subject to lien holder approval. What will this house sell for? Inquiring minds want to know what will this house at 4015 San Rafael at the top of Mt. Washington sell for? It's listed for $950,000. I'm posting this because it strikes me as good advice that shows some thinking outside of the box for financial planning, which is what I like to think I do regarding real estate. I have subscribed to Justin's email newsletter ever since I saw him speak at a California Association of Realtors conference a few years ago. I have never worked with him, I don't know how good a job he does, but you might want to contact him if you are looking for a Financial Planner. I certainly will.  Justin Krane, a Certified Financial PlannerTM professional, is the founder ofKranefinancialsolutions.com. Known for his simple, savvy, holistic approach to financial planning, he has the unique ability to advise his clients on how to merge their money with their lives, so that they can make sound decisions with their finances, and get more of what they want in their lives. 1. Try not to panic. It's tough to make money that way. 2. Keep your eye on the price of gold. For stocks to make a comeback, gold needs to go lower. 3. The stock market needs leadership from Washington. Obama needs to appeal to business owners and tell Congress to come back from vacation and get a better budget deal done. 4. If you had a target allocation of 50% bonds and 50% stocks, you probably are now 45% stocks and 55% bonds. Consider rebalancing back to what your initial allocation was. This is general advice. I have no idea what your risk tolerance is and when the PERFECT time is for rebalancing. 5. Company insiders (CEOs) have been buying their own company stocks aggressively. That is a good thing. Many retail investors have been selling out of mutual funds - great contrarian indicator - meaning the general public makes poor timing decisions. 6. Based on your situation, consider converting your IRA to a Roth IRA. Talk to your financial advisor and CPA for all of the details. 7. Call your mortgage person and consider refinancing your mortgage. This newsletter is for informational purposes only and should not be construed as individualized investment advice. P.S. Click Here to forward this information to anyone who might be interested. Still 111 here as we near Zzyzx. Have you been thinking about converting your home to solar-powered electricity? As both a homeowner and a Realtor with the EcoBroker and Green Realtor designations, I’ve thought about it for a long time. I want to reduce my dependence on fossil fuels, I want to do my part to End Global Warming, I want to save money on my utilities. Quite honestly, though, the high cost of the equipment, even with generous rebates, has stopped me. Occidental College is installing a 1-Megawatt solar array on its campus. This is enough to power about 11% of the campus electrical needs, according to Patch.com news (http://eaglerock.patch.com/articles/oxy-offers-2000-solar-rebate). A public meeting was held last night to announce the plan to help neighboring residents and businesses save costs on installing solar by offering a $2,000 rebate that is in addition to any other rebates offered by government and utility providers. Oxy Physics professor Dan Snowden-Ifft gave an overview of the project and introduced representatives from SunPower, the manufacturer of the solar panels, and from Martifer Solar, the dealer who is responsible for the installation on the campus. Residents and small businesses throughout the Northeast Los Angeles zip codes 90041, 90042, and 90065 qualify for the rebate, plus Oxy alumni, faculty and staff, students and their parents who live in Sunpower dealer areas and own a home. Check out www.sunpowercorp.com/asp/Occidental for a good summary of the plan with links to registering for a free home evaluation and how to figure out the financial benefits of going solar. If you don’t want to invest in a solar system right now, they even have a lease program that still qualifies for the $2000 rebate! This is a positive outreach from Oxy to the community. This is the kind of partnership between government, business, and educational institutions that can make our community better and greener while it benefits individual homeowners. Save Money! Go Green! What is with the noise on Colorado Blvd at midnight? I went to the meeting about replacing the water main and I recall being told they only had a permit to work 7 am to 3 pm. So what is this all about? I can't sleep! Would you like to ride your bike more but feel intimidated by the dangers of riding through city streets? Try joining an outing sponsored by a bicycling organization. It’s safer to be in a group and you will learn how to ride safer on your own. It had been a long time since I’d ridden my bike. But when I received an email inviting me to join an Urban Expedition exploring Highland Park by bike, I thought why not? It was only 7 miles and promised to visit some interesting sights, so what better way to ease back into cycling, have some fun and learn something? From their website, www.cicle.org: Cyclists Inciting Change thru Live Exchange (C.I.C.L.E.) is a nonprofit organization based in Los Angeles working to promote the bicycle as a viable, healthy, and sustainable transportation choice. The Urban Expedition happens about once a month. There were at least 30 riders on this trip, several of whom were volunteers with bright yellow vests who helped guide and keep everyone safe. We met near the Arroyo Seco Stables and rode up the bike path in the LA River to the Audubon Center in Debs Park. Did you know that Debs Park is the 4th largest park in the city of Los Angeles? It has over 150 acres of largely wild hillsides with mostly native plants to hike and explore. The Audubon Center was opened in Debs Park in 2003, and was instrumental in making the park safer and more accessible to families and individuals. Did you know that the Audubon Center is the first LEED-certified building in the country? (LEED = Leadership in Energy and Environmental Design). The director of the Audubon Center, Jeff Chapman, told us about the site and then led us on a hike on the butterfly nature trail. Jeff is a regular participant on these urban bicycle adventures and he rides his bike to work from his home in Eagle Rock. The Audubon Center is a very kid-friendly place, offering lots of fun ways for kids to learn about and play in nature. For adults, there is a Solar System Hands-on Training for Maintenance & Design class that meets the 3rd Saturday of each month. For $20 per class, you can learn how to better understand solar systems for your own use or even to work in the field. For all ages, they offer a free Friday film night preceded by a bird walk. Check out all the possibilities at http://ca.audubon.org/debs_park.php. We rode on to the Milagro Allegro Community Garden (www.hpgarden.org), a project comprising 32 garden plots, monthly educational classes and workshops on gardening and other topics, and an after-school nutrition, cooking and gardening program (“LA Sprouts”) for elementary school students aimed at promoting healthy eating habits. Check out their website to read about the history of how the garden was acquired, named and constructed, all good stories. What I love about this garden is that it is yet another example of the population of individuals in Highland Park who think for themselves to find ways to make their community better for everyone. In this case, they saw a way to make a community garden out of a city-owned vacant lot that was slated for public parking in a neighborhood where there was already plenty of parking. We cycled on to Cafe de la Leche, a coffee house in Highland Park that features the first bike corral installed by the City of Los Angeles. The owners of this popular spot are living the urban localism dream, in my opinion. Matt and Anya Schodorf live and ride their bikes in Highland Park, saw a need for a good local coffee spot and have very successfully opened one. But they went further: they recently opened Schodorf’s Luncheonette in the same block where they offer yummy sandwiches and salads from 11 till 3 everyday. Matt and Anya exemplify the diverse creative look and spirit of Highland Park. Check them out atwww.cafedeleche.net, stop in at the 2 venues, live some of their dream. Maybe you’ll have one of your own! Besides meeting some interesting people, learning about some cool places, and having a nice bike ride, I learned some better bike routes through Highland Park. We started off along the LA River bike path to Debs Park, then took a circuitous route over to the community garden. To reach Cafe de Leche, we rode up Avenue 56 from Figueroa towards York (a more level route than I would have done on my own), then parallel to the busy York Blvd on the much quieter Buchanan Street. Circling back to the start of our trip we rode in the bike lane that extends along much of York Blvd. I really enjoyed this outing and plan to do more. Slowly, Los Angeles is becoming more bike-friendly through the efforts of groups like CICLE and more. 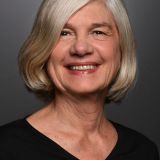 Even the mayor is more sensitive to the needs of bicyclists (especially since he was in a bicycle accident) and has pledged to add more bike lanes at a greater rate than has been done in the past. The City of Los Angeles will never become a city like Davis where the bicycles outnumber the people, but who would have thought even 10 years ago that we would have the support of City government like this? What's so great about this house? 1450 W. Avenue 43, 90065. $489000. Huge rooms, 3 bedrooms 2 baths, such a deal! Hi Everyone! My restaurant guide has been updated with some great local spots - check it out! New listing! OPEN SATURDAY 7/9 1-3PM; SUNDAY 7/10 2-5PM; TUESDAY 7/12 10-2PM; and THURSDAY 7/14 10-2PM. 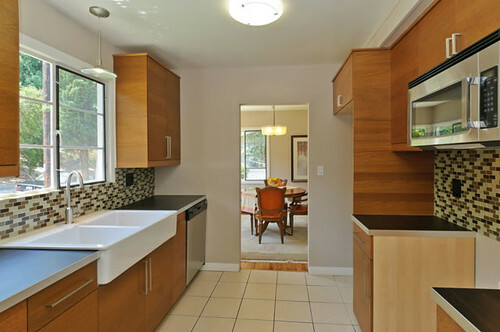 Move right in to this midcentury traditional with upgraded systems from central air & heat to electrical and plumbing. 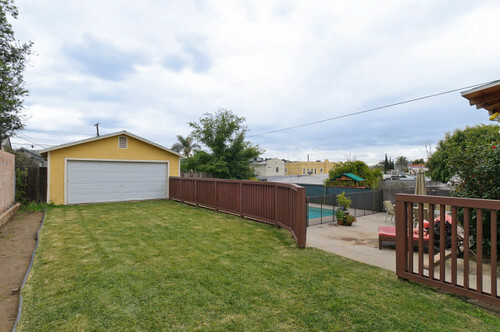 Originally a duplex, the main floor has 3 bedrooms, 1 bath while the downstairs could be a master suite or the entertainment room/home office to die for. A sliding glass door opens to the spacious deck that overlooks the backyard. 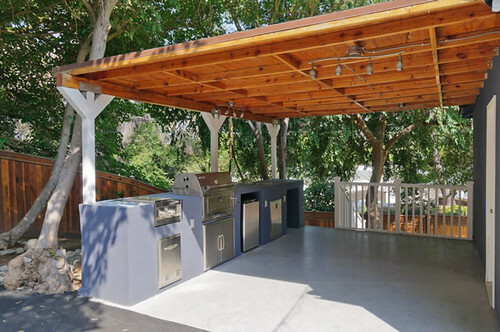 There is even an outdoor kitchen for all your alfresco dining fantasies. The 2-car garage has a finished interior. Open today till 1, Thursday 10-2. Cookies! Celebrating Eagle Rock’s 100th year, the free fireworks display at Eagle Rock Park brought the community together with a big lovely bang. It seemed like the whole town turned out--we had to park many blocks away and hike in to the park. Ronny and the Classics played some good old Rock and Roll. There were booths staffed by the various Eagle Rock civic groups from TERA to the Chamber of Commerce to the Eagle Rock High Boosters. Classic cars parked on the field provided more browsing opportunities. There were food booths for everything from funnel cakes and kettle corn to Chinese food. We had some very tasty Argentinian grilled sausages spiced with ChimmiChurri sauce served in a roll with fresh salad and rice. The weather couldn’t have been better: not too hot yet clear and balmy. The crowd was mellow and friendly with lots of kids, lots of families. We all oohed and aahed at the fireworks which were at least 15 minutes of colors and swizzles and sparklers and booms. The crowd cheered and celebrated and then we all walked back to our cars. Happy 3rd of July, Eagle Rockers! What a perfect day to go to the Getty. The Angkor bronzes exhibit was small but inspiring as well. Halong Bay opened just 2 weeks ago and it's doing well! Took the picture below just before we cleaned our plates! Lovely atmosphere, delicious food, and affordable prices make this a winner in the successful Eagle Rock business model contest we all wage daily here. The empty pineapple shell contained a dish called Festons, scallops sauteed with hoisin sauce, pineapple and red pepper. I had the Suon Nuong, thinly sliced grilled pork chops marinated in honey and lemongrass served with their house dipping sauce (and rice, of course). To start, we tried the Saigon spring rolls, shrimp and fresh lettuce, basil, carrot and cucumber wrapped in rice paper. We each had a drink and spent under $50 for the two of us. By the way, they serve Eagle Rock Brewery Revolution XPA, a bright and refreshing pale ale, so you can feel incredibly local when you dine here. The owner, Ray, had us try the Poisson, a filet of sea bass steamed in a banana leaf with herbs and spices. Yum! And for dessert, the cappucino mousse cake was divine. You can check out details about the restaurant and see the whole menu at www.halongbayrestaurant.com. Or just go on over to 1948 Colorado Blvd, LA 90041. Call for hours at 323-258-2618. My house guest last weekend. Think he had enough cushion?